20 sold. Plus 4 sold before. Lots have been over guide price and have not sold. Some over guide by 10% or more. He's got homes under the hammer there again. I think the reserves set by vendors are higher than the guides set by the auction house. It's the vendors being un realistic. There were a few no bids, but just so many unsold - I've written it down what they didn't go for - and when they publish the results in a day or two will look to see how many deals they got done after the auction. He did keep saying for people to see him after because they were that close. when they publish the results in a day or two will look to see how many deals they got done after the auction. Look forward to seeing that. . I wonder if "Homes Under the Hanner" will have difficulty collecting those "happy ending" storylines from this auction? Like yesterday's where a couple had taken a normal terrace in Stoke, spent in excess of 30K turning it into two one bed flats and ended up with a property worth less than they started with. Why? You don't really believe they spent 10k on doing the place up and so made a profit of 60k ot 90k?. HUTH are all amateurs who can't even do basic DIY, in many cases have not even have any tools, never seen the place before they buy it but 99% of the time make a vast profit. Bought for 150k spent 10k and EA values it at 250k. 28/06/2006, £49,950, 19/06/2003, £23,000, 26/07/2000, £12,750. Hopefully some lucky "investor" or bank crystallizing their profit in that one then. Might be a good one for Martin, as I think he's been their before. Oh yes, I saw that one. I think they estimated a loss of about £40,000 from that one, from what I recall? On occasions I have checked on some of the programme's "success" stories, and have found some places still up for sale, and now at a lot lower asking price, than they were valued at, on the show. They always say 'it doesnt matter, im in it for the long term' when that happens. 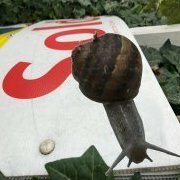 Ive watched a couple of auctions recently and sale are slugish to say the least, it's reality time for a lot of people. Depends on the auction house. Cottons in Birmingham, stipulate that the reserve set by the vendor will not be higher than the highest guide price. Why? You don't really believe they spent 10k on doing the place up and so made a profit of 60k ot 90k?. HUTH are all amateurs who can't even do basic DIY, in many cases have not even have any tools, never seen the place before they buy it but 99% of the time make a vast profit. Bought for 150k spent 10k and EA values it at 250k. It's a game show. Like the other one where they look at various houses and never actually buy. All these programs just fuel HPI and are cheap to make. Sorry, but that's rubbish. The punters on HUTH differ hugely. Some are hard-nosed professional developers with teams of renovators on tap, some are couples simply wanting a first home, with a mass in between. Including someone who bought a house purely because he wanted to preserve a mediaeval water mill in the garden, and someone else who bought a piece of woodland as a birthday present, just to enjoy. And quite a few are very competent DIYers who work damn hard during any spare hours from their full-time job to turn some grotty hellhole into a nice home. As far as I'm concerned, if they then make a profit out of their own sweaty labour and willingness to take a risk, good luck to them. It’s good to see that hard work is rewarded but the warnings about wealth destruction just don’t go far enough. That couple were a case in point. The chap actually said that property developing was a good way of taking a large pile of cash and converting it into a smaller one. It’s their cavalier attitude to these amateurs that annoys me. Case in point is that lot I spotted in yesterdays Edward Mellor Auction. If I remember correctly those flats were featured on HUTH and yesterday failed to reach its reserve, I hope that it wasn’t the one the show. Ive noticed Butters john Bee auctioneers have stopped publishing results online recently. Do they send them out via email? dont know they used to be available via the home page for Butters John Bee. or is it jon not john. Dedman gray haven't updated their results section since early this year. LOT 35 216 STOCKPORT ROAD DENTON MANCHESTER AVAILABLE AT £165,000 reached 164000!!!!!!!!!! Many thanks for your hard work tracking those numbers - very interesting stuff! VERY close. They must have been tearing their hair out! BUT - they will have learnt a lesson from this - talk down sellers on the reserves.